When soul man extraordinaire James Ingram died, mourning fans around the world began to take stock again at his often underrated catalog of music. In addition to his work with Quincy Jones, Ingram recorded several strong albums and scored a seemingly limitless string of hit collaborations with stars ranging from Patti Austin to Linda Ronstadt to Kenny Rogers. Ingram had a big hit dueting with Austin on "Baby Come To Me," but the audience at one of his recorded concerts received quite a thrill when he brought on another star to perform the song live with him: Miss Anita Baker. And the two created instant magic. And if you look in the background, you'll see some supporting singers of some note. Both Phil Perry and Bobby Caldwell are singing background on this one. 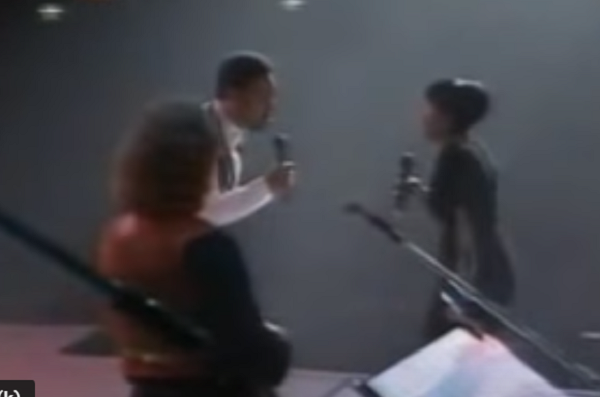 Check out these two soul stars together in this live Lost Gem performance.